New Delhi's bid to counter the One Belt One Road by creating transportation linkages through the Iranian ports is at stake. United States President Donald Trump is expected to begin a process that will torpedo the Iran nuclear deal. His own national security team and almost all experts have said that this is a bad idea. The New York Times says this will be "his most feckless foreign policy decision yet". The IAEA which closely monitors the Iranian nuclear programme, and the US intelligence community have all certified that Iran has been honouring the deal. The Trump decision will heighten tensions between the US and Iran, but also the Americans and their other partners in the deal — Germany, UK, France, China and Russia. Further, if Iran dumps the deal, and takes up its nuclear weapons programme where it left off, it could bring the region to the brink of war. India will not be immune to the fallout. Indeed, Trump's actions will have a hugely negative impact on us, both in terms of opportunity costs of stable ties with an oil-rich country proximate to us, as well as direct costs that would come with a potential conflict. It would also upend India's geopolitical moves to counter the One Belt One Road (OBOR) by creating transportation linkages to Afghanistan, Central Asia and Europe through the Iranian ports of Bandar Abbas and Chabahar. Considering that the US is finding it difficult to deal with North Korea, just why it would allow another nuclear power to emerge and complicate matters in the Middle East is inexplicable. At the bottom of everything, Trump's decision raises the question: Is the US even capable of taking rational and reasonable decisions any more, and can it be trusted to play the leadership role in world affairs? The Chabahar project and India's membership in the International North South Transportation Corridor (INSTC) provide us a major opportunity to come up with a viable and workable riposte to the OBOR. 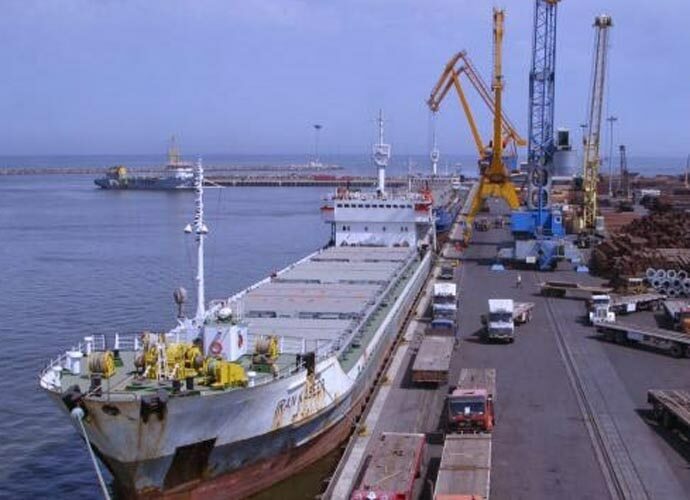 The $500 million (Rs 3,272 crore) Chabahar agreement is in two parts: the first worth $150 million (Rs 982 crore) is to develop the port, and the second is to develop a railway line between Chah Bahar and Zahedan. Even with Pakistan hampering trade, India imports some $300 million (Rs 1,963 crore) worth of Afghan goods and exports $600 million (Rs 3,926 crore). With an alternative route, things could be much better. Besides aiding in stabilising Afghanistan, it could enhance India's stock as a player in the Afghan reconstruction. The Chabahar project and India's membership in the International North South Transportation Corridor provide us a major opportunity to come up with a viable and workable riposte to the OBOR. The opportunities in Iran are even greater. As of now Iran, exports nearly $6 billion (Rs 39,200 crore) to India which is its second biggest export destination after China. Indian exports are some $3 billion (Rs 19,600 crore). These 2015 figures reflect the fact that Iran was under sanctions because of the nuclear issue till the end of the year. Indian companies such as Tatas, Essar, Cipla, Hero, Bajaj and TVS are already in the Iranian market and Indian oil majors are keen to step up their investments in Iran as well. There is already an excellent 1,000-km road linking Chabahar with Mashad and Sarakhs on Iran's tri-junction with Turkmenistan and Afghanistan. A railway linking the three countries was inaugurated in 2014. The rail link to Zahedan can be extended to Mashad from where it will link up to northern routes to Central Asia and Afghanistan. Parallel to this is the more ambitious INSTC which sees Kandla and Mumbai being linked to Iran's major port Bandar Abbas, and thence northwards through rail links which are mostly already developed to the Baltic ports of Russia and the European railways system. Test cargoes sent on this route have found that a 40 ft container costs $3000 (Rs 1,96,000), as compared to $4,000 (Rs 2,61,764) by the sea route which would take twice as long. What Trump's misguided action will do is to undermine all the positives that have emerged from the Iran nuclear deal and take us into an era of uncertainty and even war. India will lose out on the potential opportunities listed above. Things could get worse if there is war and the oil supply from the Persian Gulf to India is hit and the Indian diaspora forced to return home. Between 2010 and 2015, India complied with UN-mandated sanctions by reducing economic relations with Iran. This time, India is unlikely to follow suit if only because there won't be any UN mandate. But Trump's actions would pose a major political dilemma for India which has otherwise put all its eggs in the American basket. But at some point, New Delhi has to decide between making rational choices in national interest, rather than being carried away by the rhetoric of a country whose leader is both intemperate and unreasonable. Distinguished Fellow, Observer Research Foundation.